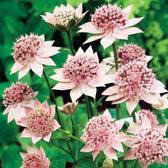 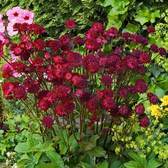 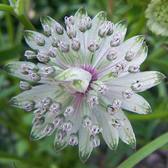 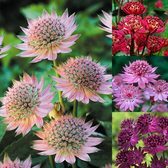 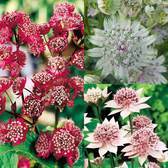 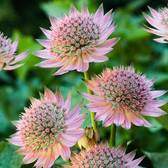 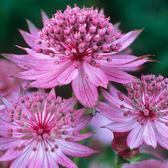 Astrantia plants are a striking cottage garden perennial which flower profusely throughout the summer months, adding charm to the garden display. 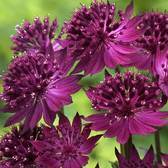 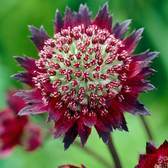 Astrantia flowers are very effective at catching the eye of passers-by and are also very useful when used as cut flower displays. 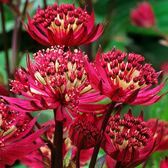 Flowering from June to September, try planting alongside traditional perennial favourites such as Lupins, Monarda, Delphiniums and Echinacea. 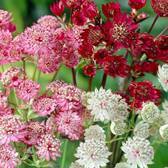 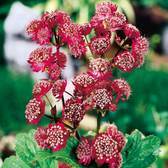 A perfect plant for attracting bees to the garden.